On arrival at Hashimara Railway Station, you will be received by our executive, who will be waiting outside for receiving you and proceeding for Phuentsholing ( half hours) ,through the lush green as well as most beautiful Tea garden in Dooars. On arrival at Phuentsholing, The most rapidly growing town in Bhutan, our office executive will guide you , evening scroll in a market & Night Stay. 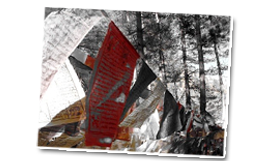 After done with the breakfast and Permit, we will proceed to Paro, on the way views of waterfalls & Chukha Dam start tour towards Paro as you enter Paro you will view Paro Rinpung Dzong. Then visit the ruins of Drugyel Dzong 25mins from Paro town & Evening scroll in a market & Night Stay at Paro. After done with the breakfast we will proceed to Paro Taktshang.Hike to Tiger Nest (Taktshang) & drive to Thimphu City (Capital of Bhutan), Through Chuzom (river Wangchu).Evening scroll in market. Night stay at Thimphu. Memorial Chorten built in 1974 in the memory of Bhutan's third King, His Late Majesty, King Jigme Dorji Wangchuk,which is at walkable distance. Painting school: It’s a non profitable organization established by government to encourage the youth into the unique arts and crafts. Punakha Dzong: The Dzong is located at the confluence of the Pho Chhu (father) and Mo Chhu (mother) rivers in the Punakha–Wangdue valley. 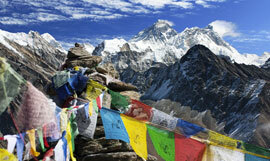 The source of the Mo chu river is in the northern hills of Lighsi and Laya in Bhutan, and in Tibet. The Po Chu River is fed by glaciers in the Lunana region of the Punakha valley. After the confluence of these two rivers, the main river is known as Puna Tsang chu or Sankosh River and flows down through Wangdue Phodrang, crosses the Bhutan–India border at Kalikhola and eventually meets the Brahmaputra River. 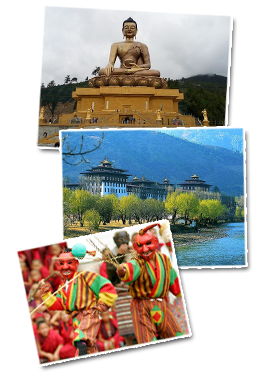 In view of the healthy climate in the region, Punakha is the winter capital of Bhutan. The head of the clergy of Bhutan with his entourage of monks spend the winter in this dzong. Jacaranda trees grow around the dzong, blooming with mauve flowers in the spring.From the south. At the chosen spot, the Zhabdrung encountered a boy named Wangdi playing beside the river and hence named the dzong "Wangdi's Palace".Wangdi Phodrang Dzong burnt down in the afternoon of 24 June 2012. However, the dzong was being renovated at the time, so most of the historical relics had already been put into storage and were saved from destruction.